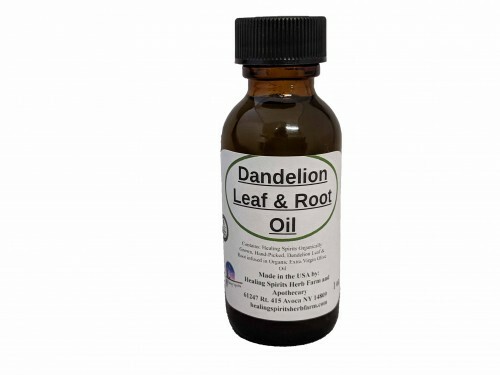 Dandelion Oil makes a wonderful massage oil for stiff joints or tired muscles. It helps soothe dry skin. Made with Healing Spirits organically grown Dandelion leaf & root solar infused in organic cold-pressed Extra Virgin Olive Oil.